One of my very good friends got a job that she really wanted. She no longer has to deal with Washington D.C. traffic (which is a total nightmare!). I was really happy for her and I wanted to let her know it and voila! 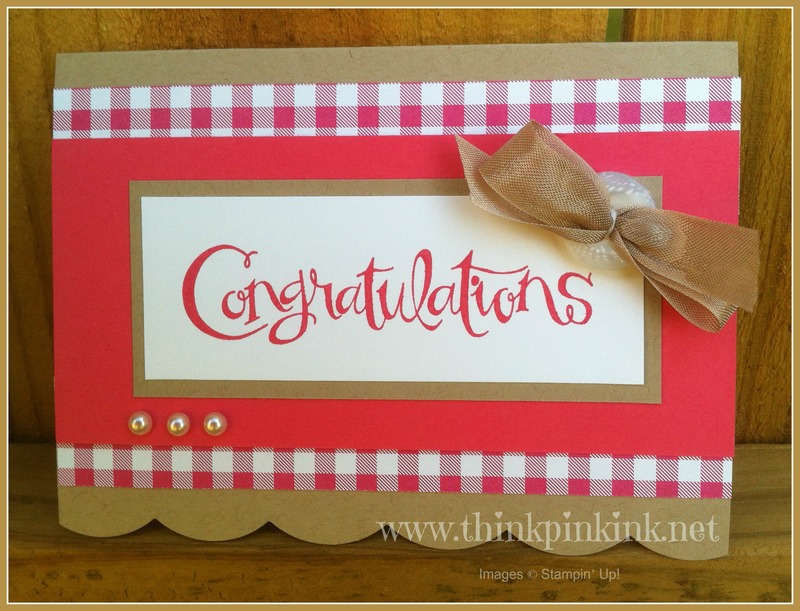 Tagged congratulations, Gingham Garden, Sassy Salutations, seam binding ribbon, Stampin' Up! Thanks Cathy. And thank you for your order! I am sure you will be on your way to creative card making soon! This is even prettier in person. I loved receiving it. Thanks again and congrats on your new blog! Awww shucks! Thank you kindly Miss Alana!